Common Sense Gardens gives this book a big GREEN THUMBS UP! 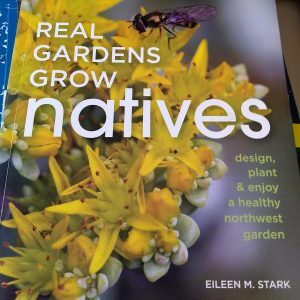 Eileen M. Stark makes the case for native plants by carefully illustrating how native plants belong and have adapted to our climate and soils in places where they naturally occur (pg.15). They require little maintenance and have often developed resistance to pests and diseases. They are long-lived, drought tolerant and help support our local wildlife populations! And, she shows us how beautifully they fit into landscape – we can support healthy local habitat and create beauty in our home gardens and yards. Stark builds the case for a natural garden from the ground up, explaining the ecology, biology and the fundamental systems that are supported by planting local native plants. She understands a gardener’s need to be flexible and creates an environment and culture that accepts use of exotic ornamentals within her framework for “real gardens.” “This book is intended as a practical reference for increasing biodiversity in urban, suburban and rural yard in Oregon, Washington, and southern British Columbia, west of the Cascades, though its principles are applicable nearly everywhere” (pg. 24). Her goal is to help bring native species of flora and fauna into mainstream gardening practices (pg. 25). The book is beautifully produced using photography of plants that helps you identify them and how to grow them and the essential design elements needed to create a beautiful balanced and healthy landscape! 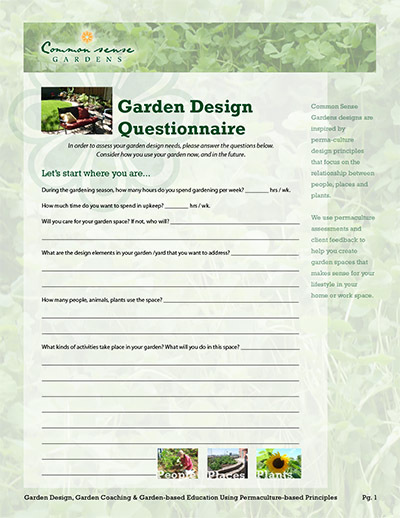 Her website: www.realgardensgrownatives.com provides practical tips, inspirations and resources. A must read for all gardeners, plant lovers and designers. You can purchase this book at your local bookstore or from this featured Portland Independently owned bookstore, Broadway Books. Serving the greater Portland area, including Washington, Clackamas, and Multnomah Counties, Tigard, Mollala, Beaverton, Gresham and Clackamas. And, also serving the Northwest region including Oregon, Washington and California. 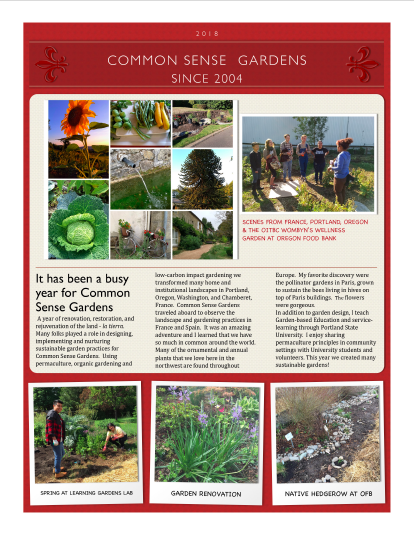 Specializing in the use of natives, ornamentals and waterwise gardening techniques.